Literature on University of Mysore’s history is so scant that we have just three souvenirs brought out on the occasion of its Silver, Golden and Platinum Jubilees and one book released by the President of India at its Centenary Celebrations. Lectures of Dr. S. Radhakrishnan were characterised as “Two Hours of Paradise.” The discovery of Arthasastra of Kautilya by Shama Sastry caused a sensation in the scholarly world. The literary renaissance that was brought about on Kannada literature by B.M. Srikantiah and others thrilled the masses. The print media that was initiated by D.V. Gundappa and others excited a new political and national movement. Scientists of Central College and Scholars of Maharaja’s College were on par with any in the world. Even some of the students of Maharaja’s College such as R.K. Narayan, R.K. Laxman, M.N. Srinivas, Gopalakrishna Adiga, A.K. 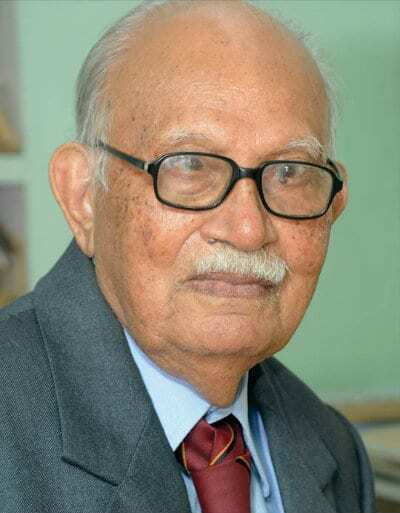 Ramanujam, H.Y. Sharada Prasad, Veena Doreswamy Iyengar and Kuvempu became illustrious figures on the national scene. It is a pity scholars have not done justice to their own alma mater. The University witnessed Four Phases — Formative Phase (1916-40), Challenging Phase (1940-60), Development Phase (1960-90), and Recent Phase (1990-2018). The Formative Phase was the golden era of the University, when such intellectual giants as Dr. S. Radhakrishnan, Dr. C.R. Reddy, K.T. Shah, N.S. Subba Rao, B.M. Srikantiah, A.R. Wadia, M. Hiriyanna, Dr. M. V. Gopalaswamy and the European staff, Denham, J.C. Rollo, A.B. Mackintosh turned the University into a power-house to generate knowledge, skill and wisdom. The University became a temple of higher learning promoting higher values of life, creating ideas, critical mind, rational outlook and work ethics. The teachers injected into the mind of the youth a sense of responsibility to the society, a sense of concern for the poor, a sense of hope, faith and pride in our country and a kind of love for the heritage of the land. The Students Union, the Sports Field, the Dramatic Society, the Debating Society, the Military Training, the Adult Literacy Campaign and Social Work were all intended to make the youth fit for facing the challenges of life. The Formative Phase was indeed the golden age of the University. In the Challenging Phase, the inspiring force, the Chancellor, His Highness Krishnaraja Wadiyar, was missing. The intellectual giants of the First Phase were missing. As the freedom movement was at its peak, the atmosphere was more of political agitation than intellectual activity. The titanic Second World War drained State resources to invest more on the development of the University. With the departure of the European staff, the cross fertilization of ideas between the East and the West came to an end. Socialist ideas dominated the scene that priority should be given to basic demands of food, shelter and clothing before attaining excellence in higher learning. The College Union that matched the Unions of Oxford and Cambridge lost its lustre. The University Teachers Association that had earned world fame for Social Work was no longer in its old fame. Quality gave place to quantity when almost every district came to have a Degree College. Entry of private initiative in setting up of institutions of higher learning including Medical, Engineering and Business Management opened up a competitive trend in the University system. The aim was more to expand educational empire than to undertake man-making and character-building programme. In this Phase, technology gained priority over humanities. In the Third Phase (Development Phase), the University witnessed momentous changes both in its structure and character. It had to follow UGC guidelines in bifurcating Under-Graduate (UG) classes from Post-Graduate (PG) classes. The intention was to make the University concentrate only on promotion of higher learning. The management of Collegiate Education was shifted to the care of State Government. The UGC came in a big way to support the University. It funded lavishly in building up infrastructure of buildings, laboratories, library holdings and other facilities. Scales of salaries were raised to attract best brains. Emphasis was laid on research, extra-mural activities such as seminars, symposia, workshops, conferences and congresses which were greatly encouraged. New courses, new disciplines, area studies in different subjects were set up. 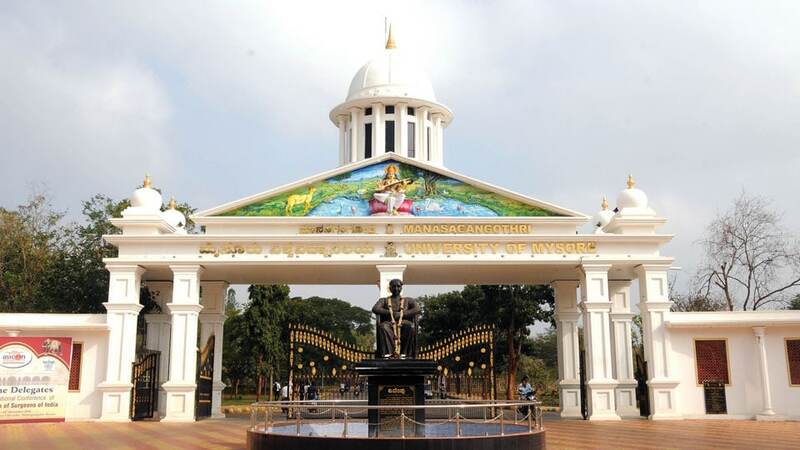 A new campus called Manasagangothri came up on a sprawling area of more than 300 acres. It became home for studies and research in all subjects, Arts, Science, Commerce, Law, Education, Humanities and Languages. A dynamic Vice-Chancellor, Dr. Srimali, who was formerly Union Minister for Higher Education, spared no efforts to collect best brains from all over the country. The emergence of a new campus marked the end of one era and the beginning of another. Credit should be given to the vision of Kuvempu who conceived the idea of the new campus, made it a reality and christened it as Manasagangothri, source of knowledge. In this Phase, the University built up an image that it was cultivating the arts, broadening the humanities, imbibing the skill and fostering science to become the real citadel of higher learning. The Fourth or the Current Phase of the University is one of consolidating the gains of the past. It stepped into 21st century, which inaugurated a period of conflicts and confrontations at the global-level and at the same time an era of scientific and technological marvels. Every executive head of the University in this Phase exerted his utmost to build up finest infrastructure and to promote Science and Technology. Quantitative expansion in seekers of higher learning too has taken place. The sheer number of Ph.Ds produced every year is amazing. The University kept pace with the trend of the times in Science and Technology. Yet it had to face adverse impact. The best of the brain went to professional courses in Medicine, Engineering and Business Management. The establishment of separate Health University in Bengaluru and a Technological University in Belagavi diminished the prestige of Mysore University. The mushroom growth of private institutions of higher learning pushed Mysore University into background. Added to these factors, the policy of the Government to have guest lecturers instead of regular staff made a mockery of higher learning. Even after 20 long months, a full-time VC is yet to be appointed. Earlier, teaching and learning was a symphony of a melodious art. It now became filling up buckets of information into empty minds. Earlier a galaxy of brilliant stars taught the students. Now pebbles are picked for pedagogy. Education is kindling of a flame and not filling of a bucket. Mysore University at present possesses world-class infrastructure. With all its input, what is its output is a different question. One or two examples could be given here to illustrate what sort of education students got in the past. In short, our University standing at the summit of higher learning had become the custodian of our culture. It was gifting our youth the gentleness of a mature mind so as to make them helpful not only to themselves but also to the family, to the society and to the world at large.